One of the biggest problems I have as an MBA admissions adviser – friend, coach, confidant, drill sergeant, etc., to applicants trying to crack top-tier schools – is explaining to clients that “good is nice, great is nicer,” but neither will get you into a top-tier MBA program. Only “good + special” will get you in. Everyone knows that there are far fewer places than excellent candidates, but not everyone understands the implication of this, which is that the standard “good profile” application is more likely to fail than succeed. I do ding analyses: often there is something clear to point to, but often there is not. I’m left saying “there was no juice,” and I don’t mean this as a carry-all cop-out. What I mean is – putting it another way – the applicant has provided reasons for Adcom not to reject them, covering all bases, saying the right things, but has not given Adcom a compelling reason to say yes. 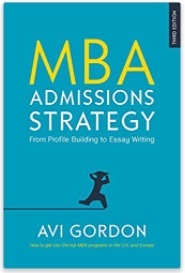 Every year is similar in MBA Admissions, but slightly different given what is going on in the economy and the world. This year a key framing condition is the recession. Applicants who get into top schools will have a excellent spread of academic, professional, and extramural attributes. But the economic downturn will make itself felt, and one of the aspects of this was well picked up by Business Week this week in an article which says MBA Career Services departments are getting a stronger voice in who gets admitted. None of this is new. Future employability, quality career continuation, and likely starting salary have always been a consideration in MBA admissions. It’s just a shift to greater emphasis. Recruiting well out of an MBA is one of the key function a business school offers. They do this for the candidate (it’s part of what you pay your tuition fees for) but it’s hardly altruism. This is because, among the matrices along which MBA schools are typically ranked is “percentage of students recruited on graduation,” and “average starting salary.” In other words the pressure is on Career Services to get these numbers up. In good times they are willing to take a punt on students who have potential but not much or a record because it’s likely they will get a good offer (in boom times practically everyone at a top-20 school gets multiple offers). But in a bust Career Services knows it will be left with jobless graduates. Not only is it a headache to have them emailing you and endlessly bugging alumni, but it drives down rankings, to say nothing of word-of-mouth reputation. So while b-school Admissions Services (Adcom) and Career Services are traditionally separate “empires,” in recessionary times Careers want to make sure they get the most recruitable candidates possible. So many schools’ Careers departments are demanding and getting a seat on Admissions Committees, where they can sit in on interviews and evaluate applications. What does this mean for applicants this year? The way through this is, first, to play up your career progress and future employability (via all inputs: essays, résumé, interview, recommendations, etc.) The second is to have a really convincing, plausible, short-term career plan. 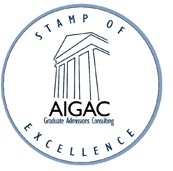 Given your work history plus an MBA (from the particular school) can you make Adcom and Career Services believe you will be gainfully employed in a MBA-worthy position on graduation day? If you can do this, you’re one step closer to getting in.